The domaine’s beginnings date back to the late 19th century when François Xavier Julien first purchased some vineyard land in Comblanchien and Nuits‐Saint‐Georges. After the second World War, François’ son Armand set about expanding their holdings by purchasing more vineyards. His son Gérard continued the expansion in the 70s and 80s bringing the estate to roughly 10 hectares, where it is today with his acquisition of parcels of Nuits Villages, Nuits‐Saint‐Georges and Echézeaux Grand Cru. Recently, Gerard’s son Étienne Julien has assumed control of the estate. The fourth generation at the helm, Étienne is ushering in a new era of quality. Étienne set about upgrading things from the moment he took the reins beginning with the vineyards. A more organic approach was adopted and now the follow a strict “lutte raisonnée” methodology to control disease and pests. Yields are carefully controlled now and there is a sorting both in the vineyard as well as the winery before the grapes are destemmed. After a maceration of a few days with minimal punch downs, the wines are vinified and aged in 228L barrels until spring of the following year before being bottled. For the Côtes‐de‐Nuits‐Villages and Nuits‐St‐Georges, the wines typically are aged in 30% new barrels, whereas the Nuits‐St‐Georges 1er Cru and the Echezeaux will see 50% new barrels. The Côtes de Nuits Villages is from vineyards located in Comblanchien. It is comprised of parcels from Les Loges, Les Essarts, Aux Boulardes, Au Clos Bardot, La Platière, Les Retraits, Les Plantes aux Bois, La Julbigne. In northern Nuits Saint Georges, there is the 1er Cru “Bousselots”, and in Villages there is a single cuvée from the lieu dit “Aux Saint Julien”. In the south of the village, a Nuits-St-Georges Cuvée is made from the climats of Fleurières, Charbonnières, Longecourt, and La Maladière. 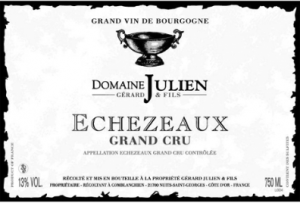 Finally, there is the Grand Cru Echézeaux which comes from a parcel just behind the prestigious Clos Vougeot! 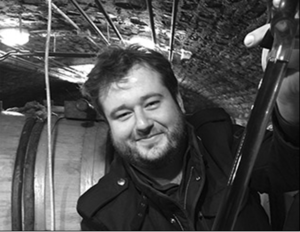 Étienne has just taken over at the domaine, but in a very short time it’s clear he is a real talent who is continuing to improve. In the coming years he no doubt will be one of the fresh faces in Burgundy that everyone will be talking about.